Thompson's Hearth & Home offers the best value on fireplace doors in North Bend, Sammamish, Issaquah & Bellevue, WA. Call us at 425-369-1400 for more details. Glass doors are like furniture to us at Thompson's Hearth & Home. We carry some of the most customizable doors the industry has to offer. Your options are endless. 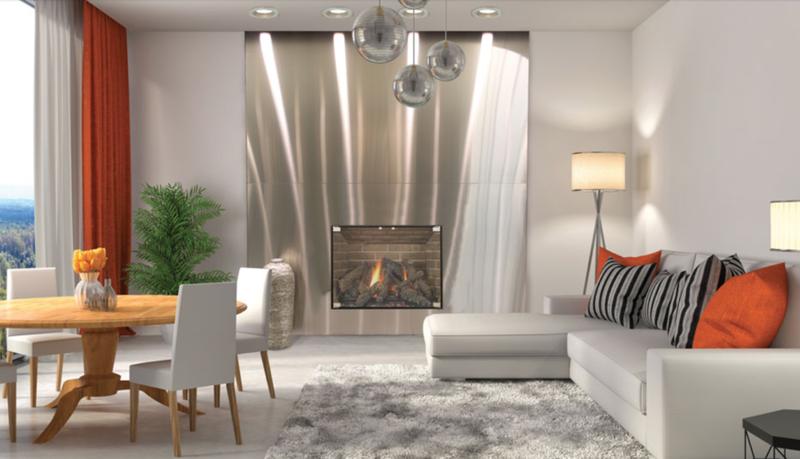 We can even have doors built to accommodate a corner fireplace! All of our doors are custom built here in the USA to your exact specifications, and are made to last forever. All of our doors are designed without a track system, allowing the doors to open all the way. Did you know that when you have gas logs you are required by WA State energy code to have either glass doors or an electronic flue damper? If you are looking for glass doors just to meet this code and doors are going to compromise the look then take a look at the electronic flue damper made by Flue Sentinel. This option will allow you to meet the same code without doors - we carry several different shapes and sizes to fit most applications.